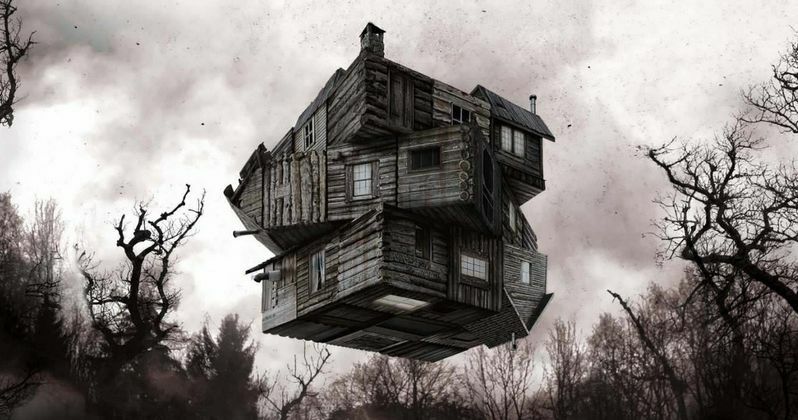 2012's The Cabin in the Woods marked the directorial debut for Drew Goddard, after writing the screenplay for Cloverfield and working on hit shows like Buffy the Vampire Slayer, Alias and Lost. The film, which the director co-wrote with Joss Whedon, wasn't a monstrous success at the box office, taking in $66.4 million worldwide, but it was beloved by genre fans around the world. While doing press for The Martian, which Drew Goddard adapted from Andy Weir, the filmmaker was asked if there was any possibility of a sequel to The Cabin in the Woods happening. As it turns out, Lionsgate does want a sequel, although Drew Goddard and Joss Whedon aren't sure they want to make it. "They want to make one. I think Joss... we talked about it. I think we just don't want to, we don't want to f--k it up. I mean, I think, I've always felt this way. Not everything needs to be a franchise. You know, like we only want to make it if we're excited about it. I don't care, I don't think we need to do it. It's more about, is there something that excites us? You know, that universe is pretty exciting, so we talk about it from time to time. I don't know. If I had to put odds, the tricky part with Joss and I, especially, is it all depends on how we wake up in the morning. If we wake up... I can easily see us over drinks tomorrow going like, 'Hey, what if we did this?' But I can also see us being like, 'The movie is pretty good. We don't need to revisit it.'" The Cabin in the Woods starred Kristen Connolly, Chris Hemsworth, Anna Hutchison, Fran Kranz and Jesse Williams as five friends who head to a rented cabin for a weekend of fun. What they don't know is this cabin is being monitored by a mysterious agency, making these kids the unwitting subjects of a terrifying experiment. Richard Jenkins, Bradley Whitford, Brian J. White, Amy Acker and Tim De Zarn round out the supporting cast. While Drew Goddard still hasn't made a directorial follow-up to The Cabin in the Woods yet, he was originally attached to direct The Sinister Six for Sony Pictures, a project which was shelved indefinitely after the studio decided to reboot their Spider-Man franchise again. He also wrote the adaptation Robopocalypse, which Steven Spielberg was set to direct, but that project has also been shelved indefinitely. He also wrote the first two episodes for Netflix's superhero series Marvel's Daredevil, where he still serves as an executive producer. Do you think The Cabin in the Woods deserves a sequel? Would you like to see some of these same characters back, or do you think they should use a completely new set of characters for a potential follow-up? Let us know what you think, and stay tuned for more updates on a sequel to The Cabin in the Woods as soon as we have more information.